If you are reading this article it’s because you are looking for some ways in which you could improve your pay per click campaign, show it some more love and send it soaring into the arena of online advertising success. If some keywords are generating a high CTR but are not converting, they are wasting your advertising budget. It could be a good idea to spend less money on them and concentrate more on the keywords that convert, even if there’s less traffic coming to your site every day. This kind of clever bidding management will really help to improve your Pay Per Click Campaign. 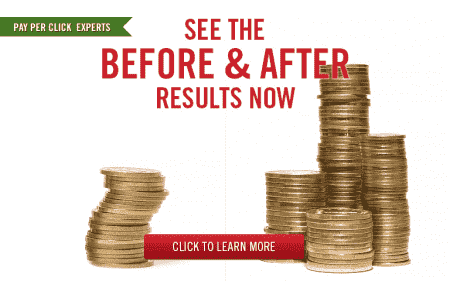 Your ROI will look healthier immediately and you will feel like you are really improving your Campaigns. All the positive energy will send you spinning through the clouds. If you want people to click on your advertisements, you need to give them a reason to do so. Call-To-Action words like Find, Buy, Read, Get, etc. work like gems to improve your Pay Per Click Campaign. Try it. If the Internet user believes that clicking on your advertisement will take them to a 20% deal, make sure that it is the first thing they see on your landing page and that they don’t have to scroll down to find it. Improving Campaigns is easy when you optimise your landing pages. It’s one of the best ways of increasing conversions and achieving more Success with very little effort. If your website is full of relevant content, your quality score will improve and if your quality score improves, you are going to see better things happening with your Campaigns too. Are you targeting the right customers online? Are you using Google AdWords tools to make sure that your advertisements are being shown to women, in their 40s, who live in Nevada and like to be online in the evening between 7pm and 9pm? If you haven’t done this, then you are making it harder to achieve improvements with your Campaigns. Know your audience and target them using PPC Tools such as Geo-Targeting whenever possible and your Advertising will improve. Pay Per Click via the Display Network is one of the best and under-rated forms of Google AdWords Advertising on the Market today and Webrageous Studios is an expert in the management of the Display Network. We believe that these campaigns catch people when they are ready to buy your product or use your service and for this reason, it is one of the best ways of improving Pay Per Click Campaigns overall. Contact Webrageous for more details. If all else fails and you just realize that you don’t have the time necessary to devote to improving your Pay Per Click Campaign, but you do want to show it some love, feel free to contact Webrageous Studios and allow us to love your campaign for you. As a fully certified agency, our team of expert account managers are able to put all of these improvement ideas into place, and then some, in the wink of an eye. We will ensure that the necessary improvements to your Campaign are made as soon as possible and we will continue to devote lots of time and love to the management of your online advertising for as long as you should require our services. If you really want to improve your Campaign, make the call. Advertising success is at the end if your fingertips.